Understanding the difference in these index weights can help you make a better investment decision. 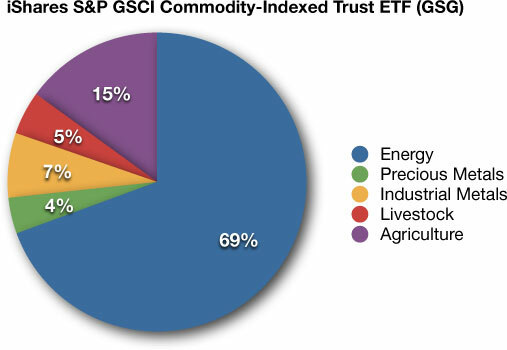 For example, investors in GSG and DBC should not be surprised that their ETF price is heavily influenced by the price of oil and gas commodities (comprising 69% of GSG and 56% of DBC). 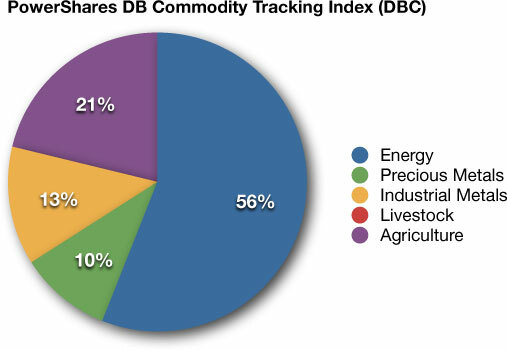 DBC doesn’t track Livestock commodities at all, whereas the other funds allocate as much as 6.4% to this category. GSG has a relatively small 3.9% allocation to precious metals, compared to 17.5% for DJP. 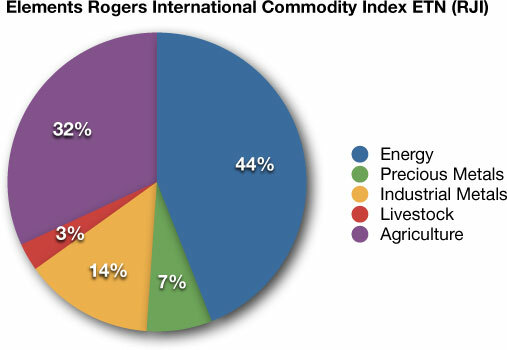 Rogers RJI allocates almost 32% to agricultural commodities, more than double GSG’s 15% allocation in this category. The funds also differ significantly with respect to the individual commodities they track. DBC tracks the fewest commodities (14), while RJI tracks the broadest basket (36). 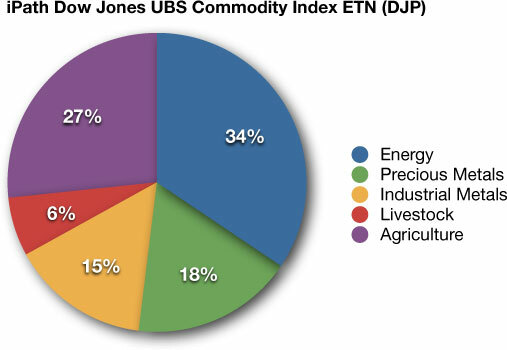 Investors seeking the broadest and most balanced commodity basket may be best served with RJI or DJP, whereas investors who care more about the relative importance of each commodity (as tracked by futures trading volume) should stick to one of the other ETFs.